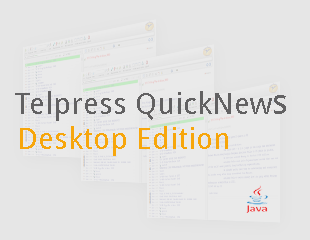 With QuickNews desktop, you'll never miss an important news again: it will alert you and make sure you stay current on important facts. An opened article is easy to read and accompanied by the matched keywords near the title. 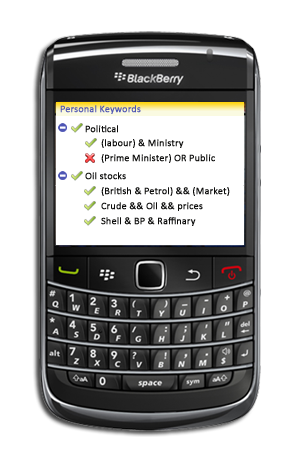 Extensive keyword profile. 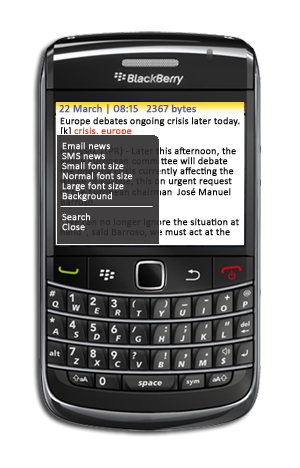 News are scanned with boolean operators and can be grouped for easy access. Special feature on the Blackberry, by pressing the 'B' key, Telpress QuickNews runs in background, but still alerts when a news hits your profile. 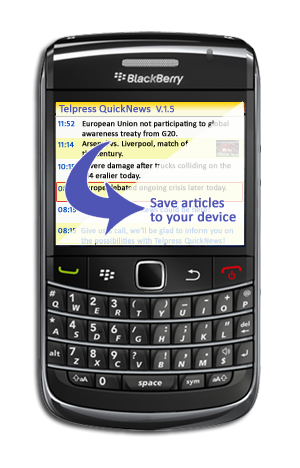 From each individual article, QuickNews permits to send the article straight away via either E-Mail or SMS. This is particularly handy if you need to notify someone quickly. If you receive multiple sources, you can enable or disable them at your desire. 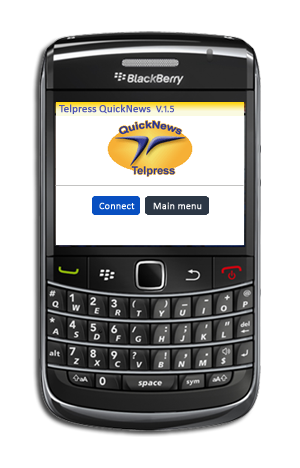 Telpress QuickNews can accomodate virtually any source of information, both textual as multimedia content, including your own sources. Call us for the possibilities. Save any article to a local archive with a single click. 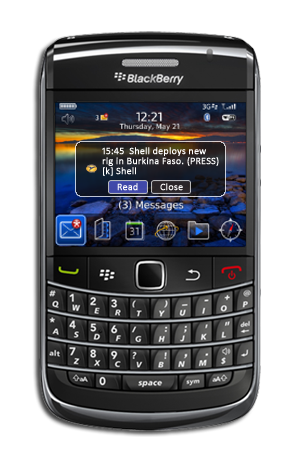 This enables you to read content without any data connectivity present on your device. For instance when you are travelling by plane. 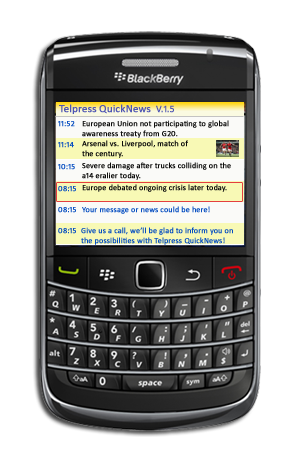 Telpress QuickNews is fully adaptable in it's styling. Change any color, font, action or alerting methods. You are in control. Serving thin clients and multi-platform environments, this powerful real-time news terminal is available for Linux, Apple and Windows users. It integrates in the desktop and monitors news flows for you alerting whenever a relevant news it's being published. It deploys in a few clicks and installs automatically. A family of products for reading and managing news in a web environment. It's no surprise that today's most powerful technologies are fully available on-line. Telpress T-Web was initially a single web-based platform used by many news providers to distribute content on the web and it's now grown into a full collection of web infrastructures empowering news providers to publish sell their content online safely and timely. Discover more here. One terminal for 1.000 screens. 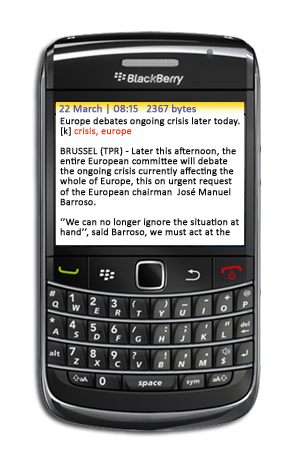 NewsSlider is a powerful news terminal especially designed for tablets and all-screen mobile phones. It's light, fast, very responsive and very, very smart. Step into the cloud of video analysis with this simple, fast and reliable online user interface. This platform is intended for annotating, analyzing, tagging, clipping, searching and sharing your video and audio.